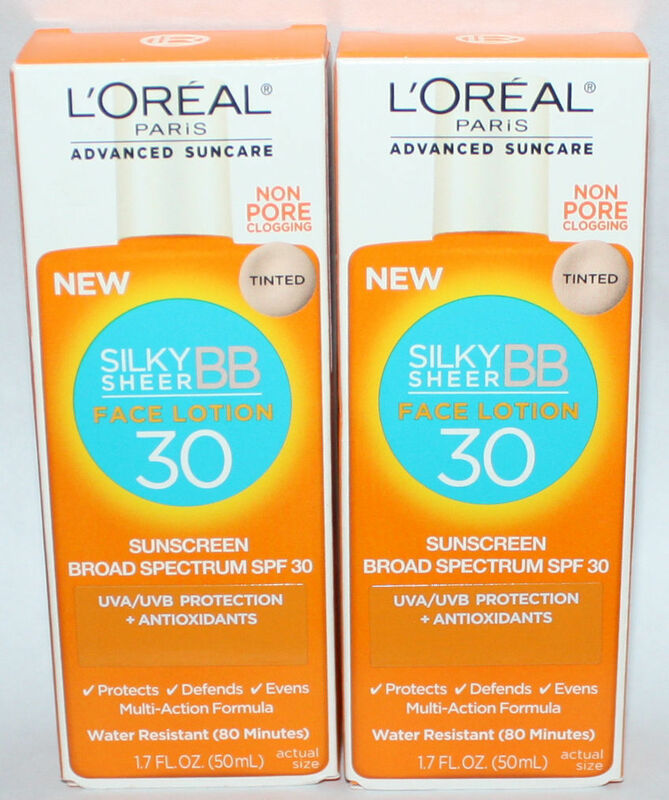 L'Oreal Paris Advanced Suncare introduces its first-ever BB facial broad spectrum sunscreen. It protects skin with a patented UVA/UVB filter and evens skin for a healthy tinted complexion. This multi-acting formula is infused with powerful antioxidants vitamin E and white grape seed to help keep skin healthy and youthful-looking. Just shake to activate this virtually weightless lotion. This unique formula absorbs quickly and layers invisibly under makeup leaving a silky soft, matte finish on skin.